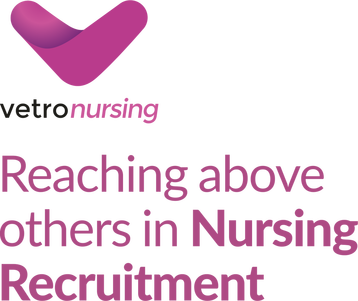 Our mission is to provide a clear and transparent recruitment service to the nursing sector. Our nurses and support workers receive fair pay, our hospitals and care homes receive a specialist service that provides value for money through the supply of quality, compliant nursing staff. Vetro Nursing is a Care Inspectorate Wale (CIW), registered nursing agency and as such compliance and safeguarding are at the heart of everything we do. Our nursing recruitment team consists of two Registered Nurses who have a combined 50 years nursing experience. They work with all our nurses to find them the roles they are looking for and offer full support with the registration process, training, safeguarding, appraisals and the revalidation process. We work with the NHS hospitals, secure forensic services, nursing homes, CAMHS and rehabilitation services. Whether you are looking for ad-hoc nursing shifts, short term or long term contracts we can support you in finding your next role. With the large volumes of temporary nursing shifts we have available, there really has never been a better time to register with Vetro Nursing. Click on our specialist mental health (RMN), learning disability (RNLD), general nursing (RGN), specialist and support work divisions. Follow us on Facebook, Twitter, LinkedIn & Google+ for our latest Nursing jobs, blogs & industry-specific news. We have a variety of Mental Health Nurses (RMN), and Learning Disabilities Nurses (RNLD), positions available. We have ad-hoc, shifts, contracts and permanent positions within the NHS and private organisations. Recruiting for Secure Services, Learning Disabilities Services and many more. We have a variety of Registered General Nurses (RGN), and Registered Nurse (RN1), positions available on an ad-hoc, contract and permanent basis within the NHS, private and voluntary organisations. Recruiting for NHS and private sector care provisions and many more. We have a variety of Specialist Nurse positions available on an ad-hoc, contract and permanent basis within the NHS, private and voluntary organisations. Recruiting for Operating Theatres, A&E, ICU, ANP's, ODP, PICU, Prison Nurses and many more. We have a variety of Support Work and Health Care Assistant (HCA) positions available on an ad-hoc and contracted basis within the NHS, private and voluntary organisations.